Righetti Ridolfi inline thermostat eliminates duct taping the radiator to get the water up to temp. Billet aluminum construction. Set at 45 degrees C (113 F). 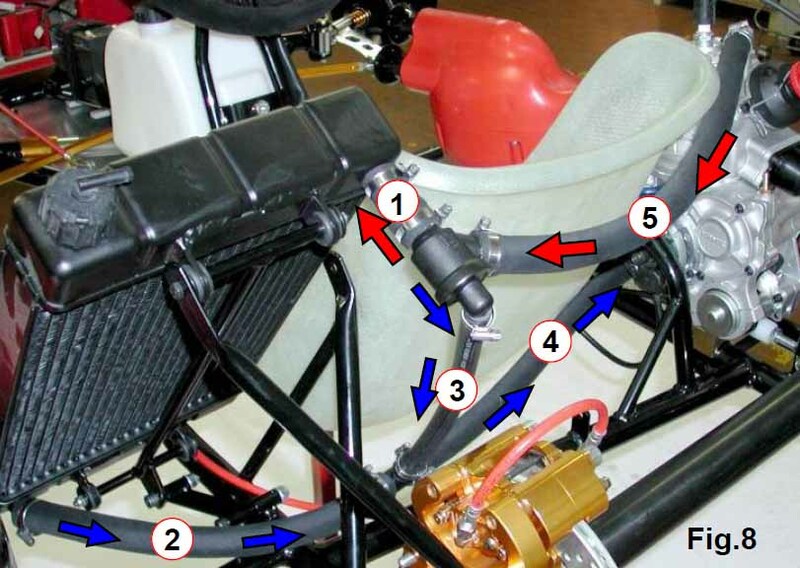 Wildkart inline thermostat set at 118 degrees eliminates duct taping the radiator to get the water up to temp. Billet aluminum construction. 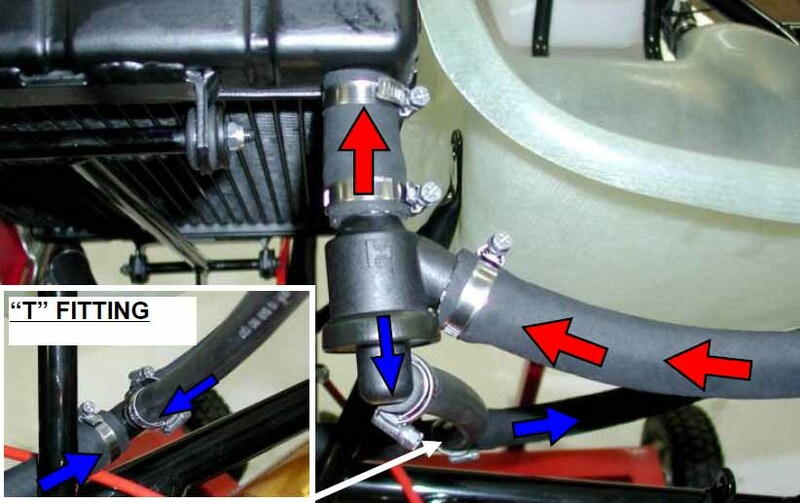 IAME inline thermostat eliminates duct taping the radiator to get the water up to temp. Billet aluminum construction. Set at 50 degrees C (122 F). CNC'ed aluminum bypass thermostat, set at 45 degrees C. Works with any engine with an external water pump, i.e. Tag, ICC, KZ, etc. Hardware not included. Optional tee available to attach bypass hose.